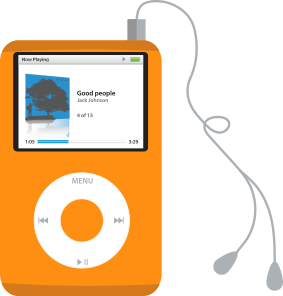 If you’re looking for a music converter for Mac OS X, this easy-to- use program is your best choice. 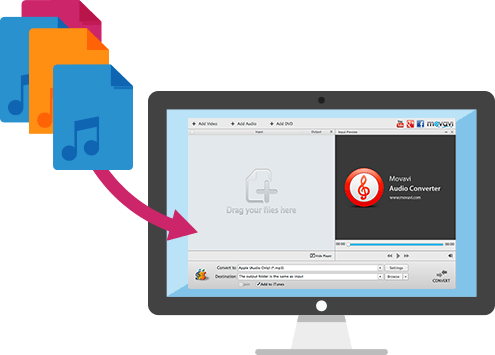 It will help you quickly convert uncommon audio file types to any popular format, so they can be replayed on any OS and any device. It will also help you free up space on your hard drive by converting oversized music files to lossy formats. 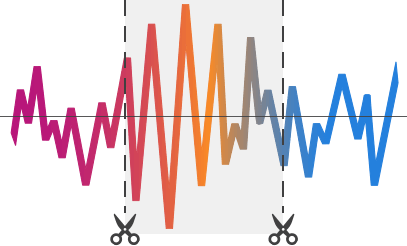 In addition to audio conversion, you can also extract sound from video, and even make small improvements by trimming and merging individual tracks. Thanks to the intuitive and stylish interface, working with Movavi Audio Converter is simple and satisfying – try it for yourself! How many times have you copied new songs to your player, only to find that the player couldn’t read the files? 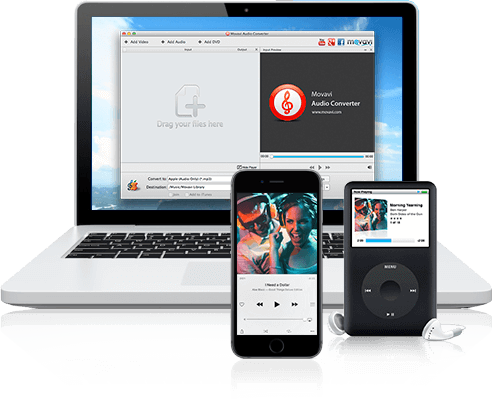 With Movavi Audio Converter for Mac, you can convert music to any popular format and forget about incompatibility problems forever. Thanks to a special preset for Apple devices, you can optimize audio files in uncommon formats for uploading to iPod, iPhone, or iPad. Now your favorite music can always be with you! 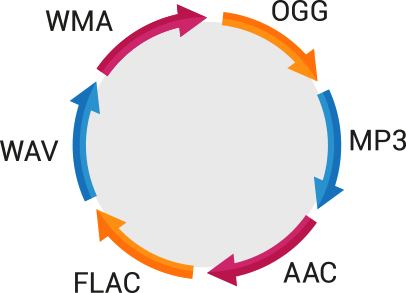 Encode your entire audio collection in one pass! Just add as many audio tracks to the program as you want and select the desired output format – the files will be converted in no time. Is your audio collection taking up too much hard drive space? 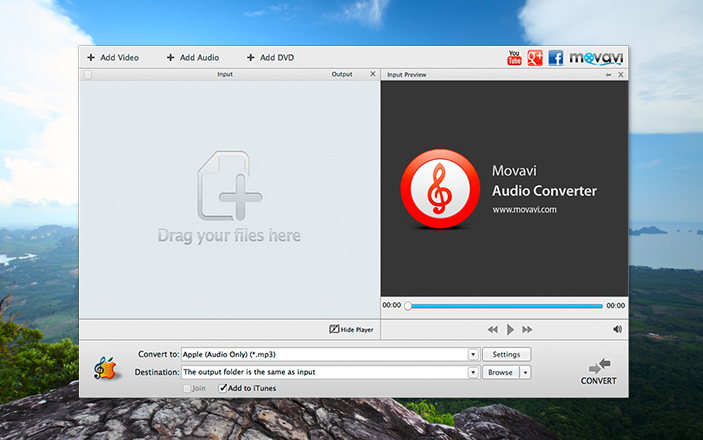 Movavi Audio Converter will help you quickly compress audio tracks with no noticeable loss of quality. 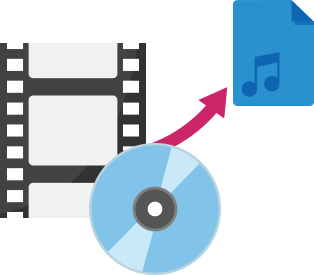 If you liked the soundtrack from a movie, TV episode, or DVD video, you can easily save it as a separate audio file. 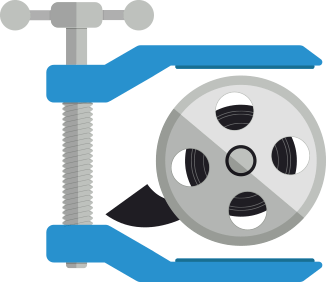 All you need to do is upload a video to the program and convert it to any popular audio format. Want to cut out part of a song or join several pieces of music together? Movavi’s Audio Converter does the job perfectly – you can mark new beginning and end points of an audio track, cut off unnecessary material, and merge tracks in just a few clicks. If your computer won’t open WMA files, you don’t need to search for a special WMA converter for Mac – just download Movavi Audio Converter and easily transform your music files into any OS X compatible format. Movavi’s software will also let you save soundtracks from video, trim songs, and combine them into a single track. You can download the program right now by clicking the button below.